5th – 15th April, 2019: Joint International Course (New Delhi+London+Edinburgh) on Public Health Policy Administration in Parliamentary Democracy. 6th – 16th May, 2019: Joint International Course (New Delhi+London) on Public Policy Management in Parliamentary Democracy. 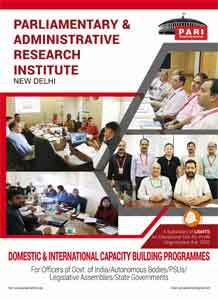 20th – 29th May, 2019: Joint International Course (New Delhi+London) on Public Policy Management in Parliamentary Democracy for Joint Secretary, Additional Secretary and Equivalent. 10th – 19th June, 2019: Joint International Course (New Delhi+London) on Public Policy Management in Parliamentary Democracy. 24th June – 3rd July, 2019: Joint International Course (New Delhi+London+Edinburgh) on Public Health Policy Administration in Parliamentary Democracy. 15th – 24th July, 2019: Joint International Course (New Delhi+London) on Public Policy Management in Parliamentary Democracy. 19th – 28th August, 2019: Joint International Course (New Delhi+London) on Public Policy Management in Parliamentary Democracy. 9th – 18th September, 2019: Joint International Course (New Delhi+London) on Public Policy Management in Parliamentary Democracy. 14th – 23rd October, 2019: Joint International Course (New Delhi+London) on Public Policy Management in Parliamentary Democracy.